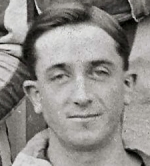 Herbert Butcher, known as Bertie, went on to become one of the clubs most loyal and successful servants. He retired from playing in 1923 after making 92 appearances and scoring 28 goals. He was 1st team trainer from 1945 until 1961 during which time he made one more appearance for the first eleven in 1949 at the age of 52, thus becoming the oldest player to appear for the City.